Russian experts say Obama’s initiatives to reform the U.S. surveillance do not go far enough. 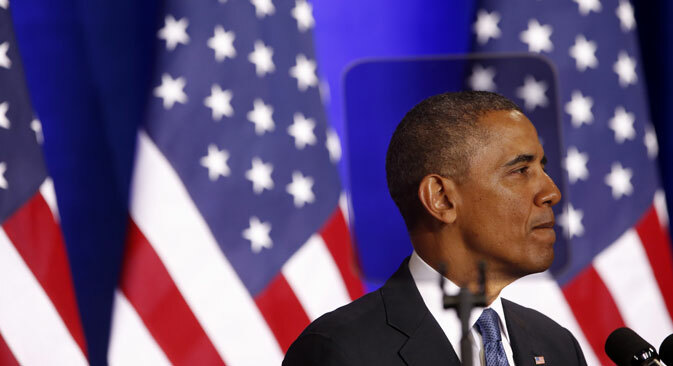 President Barack Obama has announced reforms at the National Security Agency. He unveiled several changes, which he believes will redress the balance between civil liberties and the need to protect the country from external threats. Such a statement has been awaited for a long time. The lack of a credible official response to Edward Snowden’s disclosures was doing a great deal of damage to the United States and its economy. "This was a blow to America's global leadership," said Andrey Sushentsov, a political analyst and lecturer at the Moscow State Institute of International Relations, or M.G.I.M.O. “It had become clear that the country was trying to portray the pursuit of its own pragmatic interests as caring for the common good. In the struggle between the globalists and proponents of greater national sovereignty in third countries, the latter received another argument to back their case, especially as far as PR is concerned. Meanwhile, the economic fallout includes slowing demand for American IT exports, as people are worried about their personal data falling into the N.S.A. 's hands. American corporations, including Microsoft, Facebook and others, have lost millions as a result, and their reputation has been tarnished." But the only people who have praised Obama’s 45-minute speech are the ones who had opposed any reforms at the N.S.A. in the first place, including Rep. Peter King. Rights activists have been scathingly critical of the presidential initiatives, which they say are either impractical or superficial, and fail to address the root of the problem, which is the N.S.A. 's unrestricted power to snoop. “Many people say that all these scandals, including the Snowden affair and other scandalous revelations, have been caused by lack of effective civilian oversight over the N.S.A.,” explained Valeriy Garbuzov, the deputy head of the Institute for U.S. and Canadian Studies at the Russian Academy of Sciences. But these measures simply do not go far enough. The proposals concerning the secret court are very likely to be rejected by the Congress. According to Andrey Sushentsov, congressmen are already worrying that such measures would undermine the N.S.A. 's capability. As for appointing a civilian director of the agency, similar measures undertaken in the past have failed to make the intelligence community any more transparent. Obama’s reform proposals have also been described as “window-dressing.” According to Valeriy Garbuzov, the only two serious proposals in the president’s statement were to end wholesale data scanning and retention. As an example of real reforms, some analysts cite the laws passed by Obama's predecessor. "What I see here is empty declarations; there aren't any institutional changes, such as the ones initiated by [former President] George W. Bush administration in 2004 to 2005," said Aleksey Fenenko, a senior researcher at the Institute for International Security Studies in Moscow. “Those changes were very real; they sharply increased the secret service's powers of surveillance over private citizens and especially the media. The C.I.A. was allowed to monitor the IP addresses of officials more closely, etc. That new system, whether we like it or not, was more effective than the one that existed previously." The cosmetic nature of Obama’s reforms is not really down to his desire to stay on good terms with the intelligence community. Neither is he especially keen to keep all Americans under close surveillance. This is more likely a matter of simply accepting the reality. “There are several paths the reforms could take," said Oleg Demidov, a researcher with the policy think tank PIR Center.